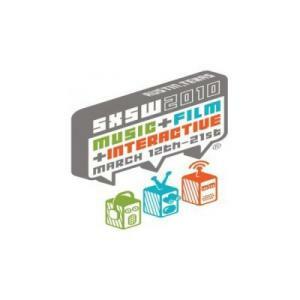 I’m thrilled Daily Grommet was asked to present at the upcoming South By Southwest Interactive conference. It’s a huge honor and opportunity. SXSW is an enormous 24 hour party wrapped around a conference. And the place where Twitter really got lift-off when they presented. If I could pick one place to take our show on the road it is there. Why? Because it is a giant, young crowd that believes in the power of people (and technology) to change the world. It’s the right place to expose Citizen Commerce to the world. My presentation is going to be more MLK Jr (I wish!) than Bill Gates. But I do have a huge sense of excitement about evangelizing this message with Millenials, rather than the usual crowd where I present (Baby Boomer investors). Millenials have such an attractive combination of idealism and pragmatism when it comes to business. I won’t have to say much. I will just have to show that we are the real deal, and they will “get” it. The official PR team required a coaching session and one of their main pieces of advice was: “Instead of trying to rise above the noise, you instead work to work the system from inside by being helpful, altruistic, conversant, and open to serendipity.” I think some hallucenogenic drugs must be dispensed at the door to make that advice more actionable. Anyway, I am SOOO looking forward to hitting Austin next month. I’ve never even been there. And…if you plan to be at SXSW, please let me know. And, as always, please tell me about any potential Grommets I should scout on this second trip–ever, in my whole life– to Texas. Business card insanity, or what? You and Joanne are intrinsically “helpful, altruistic, conversant, and open to serendipity”. That is who you are….so, PARTY ON!! I’m sure the Austin crowd will get what Daily Grommet is about. Have fun!